Gruber and Tavenner testify before the House Committee on Oversight and Government Reform. “Inexcusable” was the word of the day on Capitol Hill. 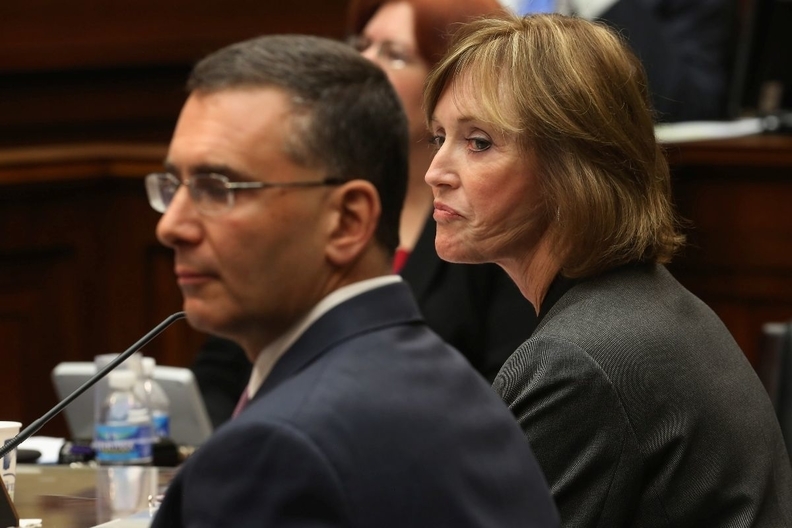 Both MIT economist Jonathan Gruber and CMS Administrator Marilyn Tavenner invoked it to describe their actions during a more than four-hour hearing Tuesday before the House Oversight and Government Reform Committee. Gruber sought penance for a series of videos in which he spoke in extremely injudicious terms about the passage of the Patient Protection and Affordable Care Act. Most notoriously, Gruber stated that Democrats exploited the “stupidity of the American voter” to shield the costs of the law and gain support. Republicans were unimpressed by the displays of contrition. Gruber, who served as a consultant for both Obamacare and Romneycare in Massachusetts, drew the lion's share of wrath from legislators. Not surprisingly, Gruber did not answer the question directly. Instead he repeated that his comments were inappropriate. While the proceedings were largely an exercise in political browbeating, one aspect of Gruber's comments could have ramifications for the federal healthcare law. In 2012, he indicated that residents of states that failed to establish their own exchanges wouldn't be eligible for subsidies to help pay for insurance. That issue is the crux of the King v. Burwell case that the Supreme Court plans to review next year. If the justices side with the plaintiffs, the ruling could invalidate subsidies for millions of people who live in the 34 states that don't have their own exchanges. Gruber's comments have been cited in court filings as evidence that the government intended to only provide financial assistance to residents of states with their own marketplaces. But Gruber said his statement has been taken out of context and pointed out that every financial model that he ran related to the Affordable Care Act was based on the assumption that subsidies would be available in every state. Tavenner was also pressed on the possibility that exchange subsidies could be withdrawn in roughly two-thirds of the states. Rep. Jim Jordan (R-Ohio) questioned why exchange customers aren't being informed about that risk when they sign up for coverage. “Do you think it is at all responsible not telling them that things could change dramatically?” Jordan asked. Republicans spent much of the hearing interrogating Gruber about contracts that he received from the federal and state governments as a consultant on the law and the insurance exchanges. Gruber was awarded roughly $400,000 from HHS and received similar amounts from at least eight states. But he declined to provide a detailed accounting, repeatedly invoking the advice of his attorney to avoid the question. Democrats joined in with the castigation of Gruber's comments. But Rep. Elijah Cummings (D-Md. ), the ranking minority member of the committee, also argued that the hearing was a sideshow that provided little insight as to whether the federal healthcare law is fulfilling its purpose.